Wonderful opportunity to own this custom built Schroeder Builders home in beautiful Hiawatha Lakes Subdivision. This classic and stately property features 4 bedrooms, first floor den/office that could be 5th bedroom, 4.5 bath home has been meticulously maintained and shows pride of ownership throughout! The grand two story foyer welcomes you with a stunning bronze chandelier, hard wood flooring and open staircase that leads to both the lower level and second floor. The formal living room is large enough for a grand piano plus a formal dining room featuring custom wall sconces, custom draperies and wall covering, perfect for entertaining guests. The open and expansive great room is sun filled with skylight windows, custom built cabinetry around a gas fireplace. The gourmet white kitchen has hardwood floors, black honed granite countertops, subway back splash, high end stainless steel appliances, gas range, work area and informal dining area surrounded by windows that overlook the deck and large, private backyard. All appliances and granite countertop were updated in Fall 2018. New carpeting throughout the first and second level space in Fall 2018. The first floor is completed by an office/den with large closet and could be used as a fifth bedroom. A large laundry room with stackable HE washer and dryer that remain with the home, built in cabinets, folding area and sink make for an efficient work area with a door that leads to the outside deck area. Tastefully appointed half bathroom with linen storage for guests. An amazing custom walk in closet off the back entrance for the entire family to utilize for all the coats, shoes/boots and back packs! The second floor features a stunning master suite with en suite master bathroom that was fully renovated in Spring 2018. Custom white cabinetry, glass enclosed walk in shower, mirrored dual vanity and radiant heated tile flooring. Custom silk draperies, new carpet Fall 2018, large walk in closet with built in storage, make this master bedroom the retreat discriminating homeowners desire. A junior suite with large closet, custom blinds/window treatments and neutral carpeting plus two additional bedrooms with large Jack and Jill bathroom complete the private second floor. The egress windowed lower level features a wonderful wet bar area with white cabinetry and solid surface counter tops, sink and refrigerator. The game area with pool table that remains with the home is perfect for holiday or game day gatherings! An inviting second gas fireplace and custom built ins with desk/homework area plus an exercise room with dual storage closets and fourth full bathroom with steam shower and dressing area complete this great lower level living area. Ample storage and gift wrap area complete this spacious lower level. New furnace, air conditioner and water heater February 2019. Professionally landscaped yard with outdoor lighting, underground sprinkler system, large private backyard with mature pine trees and garden beds; The large outdoor deck area was re-stained 2018 and makes the ideal space for entertaining family and friends. The three car side entry finished garage has ample storage and built ins and concrete driveway. This gracious and architecturally stunning home is located in the desirable Okemos School District with Hiawatha Elementary within walking distance and close to middle and high school. 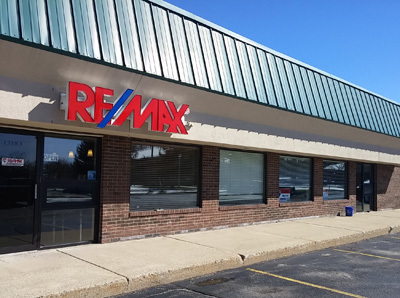 Conveniently located near all shopping, restaurants, I-96, Jackson National, Delta Dental, MSU, Sparrow/McLaren Hospitals and MSU Medical facilities. Executive living at its finest!